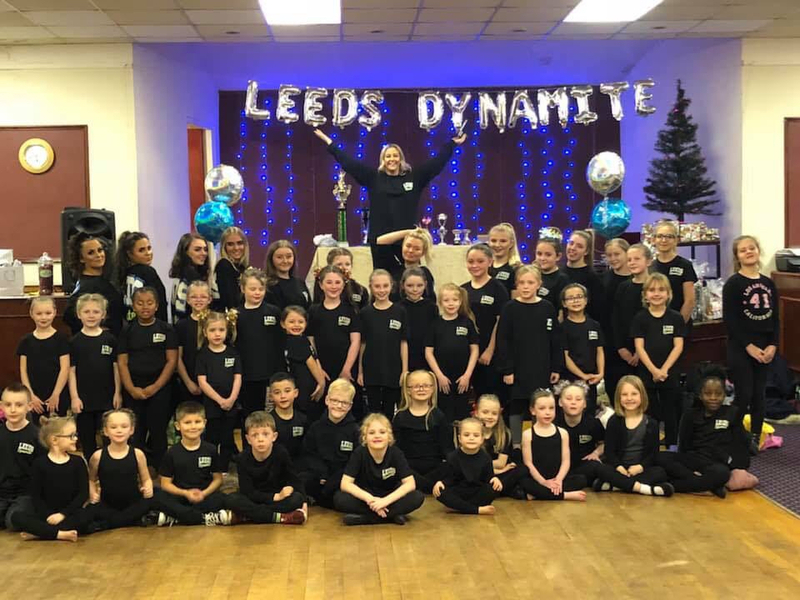 Here’s another entry for the 2019 St Luke’s CARES Community Awards, it has been submitted by Danielle Watkins on behalf of Leeds Dynamire. For details of how YOUR community group can enter please click here. We are a self funded community dance group based in Middleton – Leeds 10 at Middleton Park Baptist Church. We provide high quality dance and cheerleading classes at affordable prices. This group was set up in the Middleton community back in 1999 by our Coach Danielle who was aged 11 years old at the time. She had the help and guidance of her mum and grandma who had struggled with paying for professional classes for Danielle – who was very passionate about dance from such a young age. Which is where it all began … and Danielle took it upon herself to start this group. As she didn’t want other children to miss out on the chance to dance and wanted to make dance something that everyone could attend despite what their parents could afford. Our group is of made up of 50+ young children and adults. Male and female ranging from the age of 3 years old through to adults. Dance for us not only improves health and physical fitness. But also gives you great self esteem, really improves confidence, and helps you develop great social skills. We not only provide weekly classes Monday to Wednesday. We also hold yearly showcases and fundraising events where we invite the whole community along to join in the fun and get together. We will be holding our 20 years of Dynamite celebration later this year. We would use the money to contribute towards paying for the whole team new costumes, which we are currently raising funds for. We haven’t had new costumes since 2010, we simply renew and add to our old ones. These are now outdated, well worn and some are no longer wearable. Also we would use the money to help pay for equipment needed with in the classes such as a new crash mat and dance blocks. We need these to continue to provide high quality classes in a safe environment and continue to push the children and young adults to their highest potential. We are currently limited as to what we can do due to not having the appropriate safety equipment. We want to move on to more advanced skills and progress further. The team has been highly successful, showcasing their routines up and down the country winning numerous titles and grand champions. We have also been selected to represent England and the UK in European championships twice. Our coaches have just been selected to coach the official Team England Paracheer Pom team who will compete later this year in the world championships in Orlando, Florida. Also one of our eldest dancers has been selected to compete on the England team. Many of our dancers have moved on to university to study dance. We believe our dance offers so many opportunities and we always support our dancers to achieve everything they dream of and more. Please vote for us as this would mean the absolute world to our coaching team dancers and parents. Help them progress even further, allow us to do and achieve even more and continue to run these high quality classes at the highest level possible.